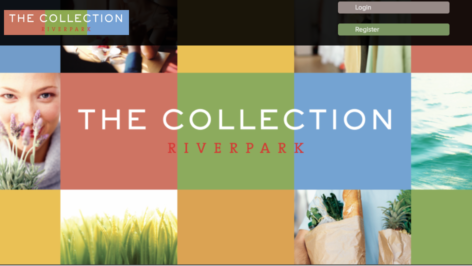 For our second Client Profile we sat down with Tracy Shaw, the tenant coordinator for The Collection at RiverPark. 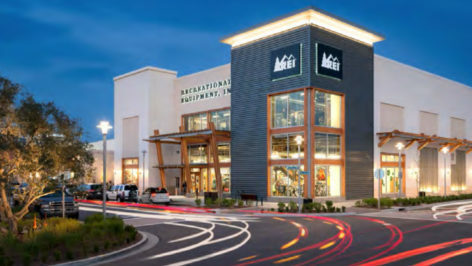 The Collection is a beautiful open-air lifestyle center in Oxnard, California that offers a Whole Foods, REI, and Century Theatre in addition to public art installments, office space, restaurants, and dozens of other retailers. We spoke with Tracy to learn more about her work with Shea Properties, the real estate developer behind The Collection, and what makes the shopping center unique. work.shop: Could you start by telling us a little about yourself and your job as a tenant coordinator? Tracy: I’ve been working in construction for over 30 years. For 25 years, I was in the homebuilding industry: Construction Accounting, Land Development, Land Acquisition and Entitlements. For the past five years, I have been in the Commercial/Retail industry. My job is a great challenge as I work with so many people on a day-to-day basis starting with my team, General Contractors, Architects, Mall Management, Security, and Marketing. My main goal is to do everything I possibly can to help our tenants open their spaces—from lease execution to grand opening. w: How did you decide to get into the field of retail development? 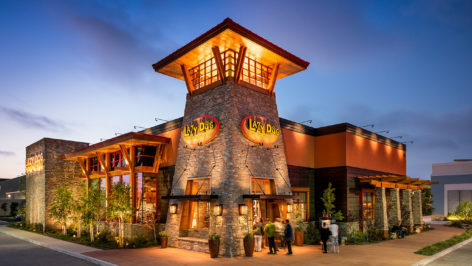 T: After the recession, Shea Properties contacted me about working at The Collection at RiverPark in Oxnard. Although I had never worked on a retail project, I saw it as an opportunity to expand my experience and work for a company with a great reputation in the industry and roots that go back more than 125 years. w: What are some of the greatest challenges with your position? What do you like most about what you do? T: My greatest challenge is how my priorities change constantly throughout the day. I may start off in the morning with one goal in mind, and then something comes up and I have to pivot. What I like most about what I do are the people I work with. They make me want to come to work every day. w: Could you describe your typical day? T: My typical day includes many different tasks. I will usually check in to see how our general contractors are progressing and see if they need anything from me. I always try to prioritize the jobs that need my attention first. This could be anything from scheduling with operations and security, to submitting plans to the city, to attending a formal plan review meeting, or to working on payment applications for our general contractors. I’m definitely the go-to person for our corporate office when anything is needed, such as pictures, documents, help in resolving landlord/tenant issues, and more. I love the variety in my job and how busy it keeps me. w: In what ways have you seen the industry change over that last 10 years? How do you see it changing in the next 5 years? T: Although I have only been in this particular position for five years, the retail industry is constantly changing. Brick and mortar stores are seeing increasing competition from the big online retailers and are trying to develop strategies for competing. Restaurants are quickly becoming the new anchors as patrons want more of an experience, and not just a place to shop. Social media is everywhere and we’re finding that it’s the best way to communicate directly with our patrons. It’s an exciting time in the retail industry. w: What advice would you give someone just starting in the industry? T: I would advise anyone to keep an open mind. Real estate development is a great career path, but my specific position isn’t a structured 8 to 5 job where everything is done at the end of each day. It changes all the time and there are always fires to put out and deadlines to meet. tYou must be knowledgeable about construction and never be afraid to direct people as you work with so many who require your assistance. w: What makes The Collection at RiverPark such an exciting project? T: The Collection at RiverPark filled a huge void here in Oxnard. It’s a beautiful retail center with some amazing tenants and an attention to detail that I have rarely seen in similar developments. If you take a close look, you’ll find sea glass embedded in the concrete, fountains and murals created by local artists – even the stop signs are unique, they say “STOP and smell the ocean.” The developers thought through every feature, and it shows. w: What is the biggest lesson you learned from the project? T: The devil is in the details and assume nothing. I have found that there are so many details to review and understand in the retail development business. If you miss something, no matter how small, it can affect the end result and cost you time and money. w: Why did you choose to use work.shop’s DDCM? Would you recommend the DDCM to a colleague or choose to use it again? T: We saw the need for our DDCM to be online for easier distribution and use by our tenants and contractors. And yes, I would recommend and use work.shop DDCM to anyone who asks. The team has been incredibly helpful and accommodating with change requests and has really helped me understand the admin tool for making future updates. T: I’m looking forward to growing my position by increasing my responsibilities. I think this will help me get to the next level with my team and with my career – it should help me professionally and personally!